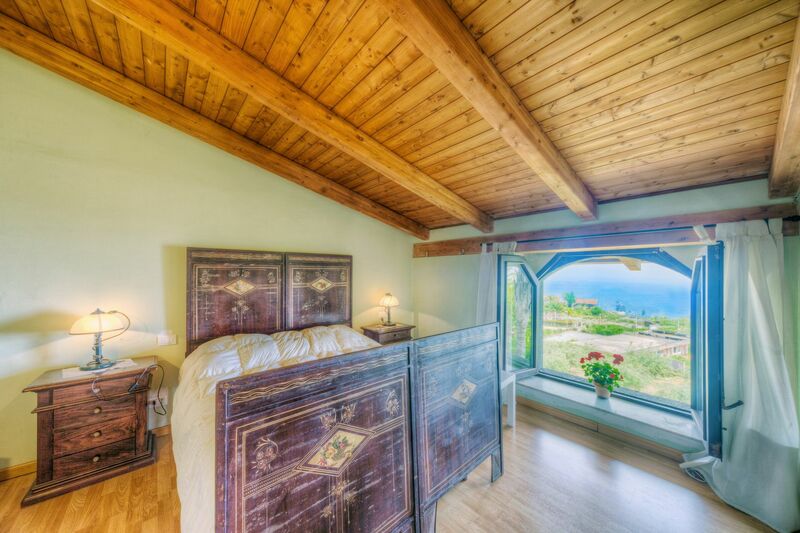 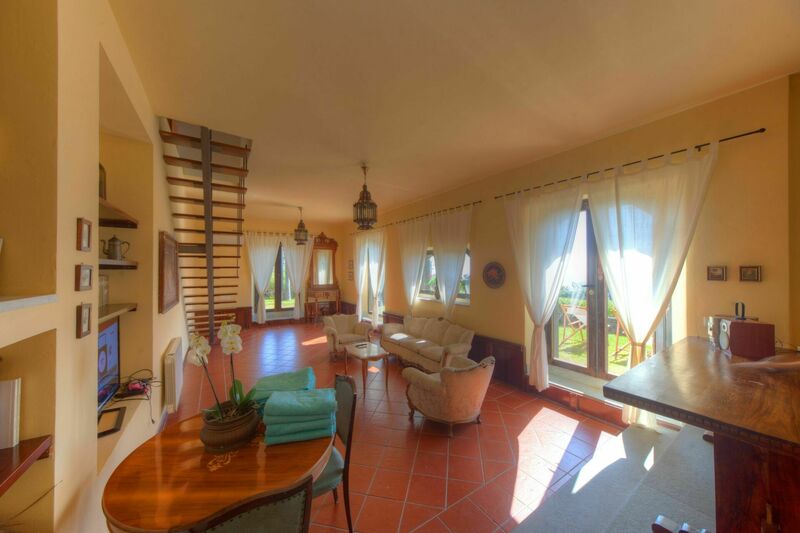 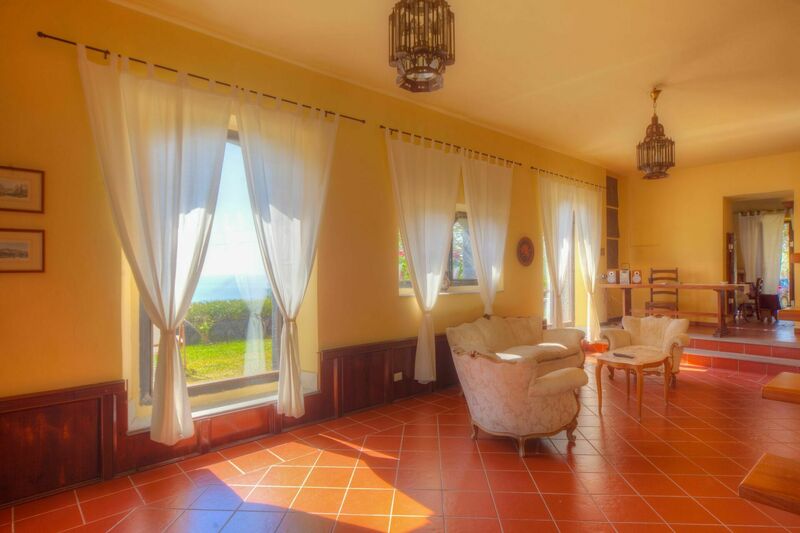 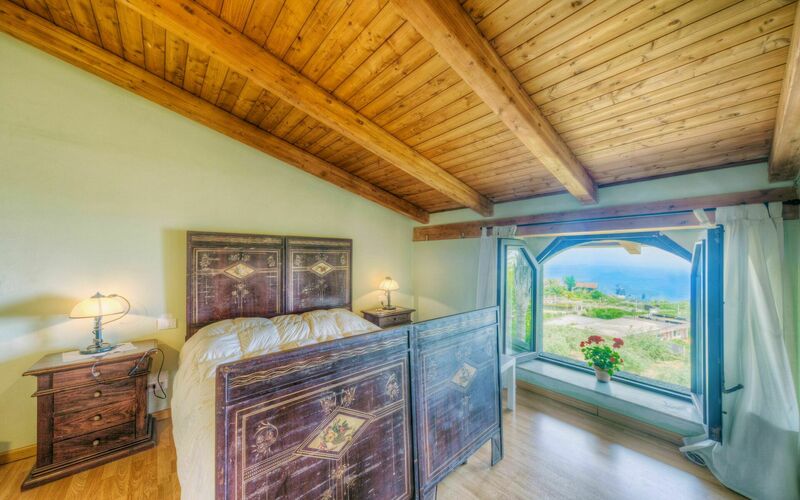 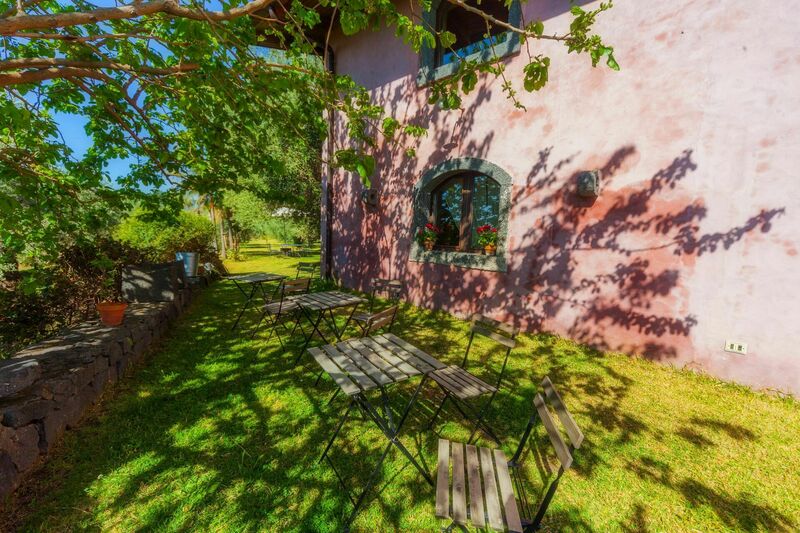 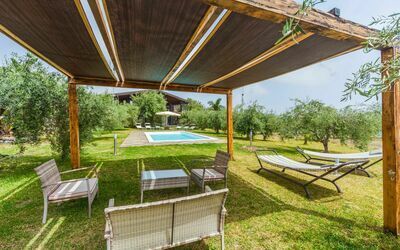 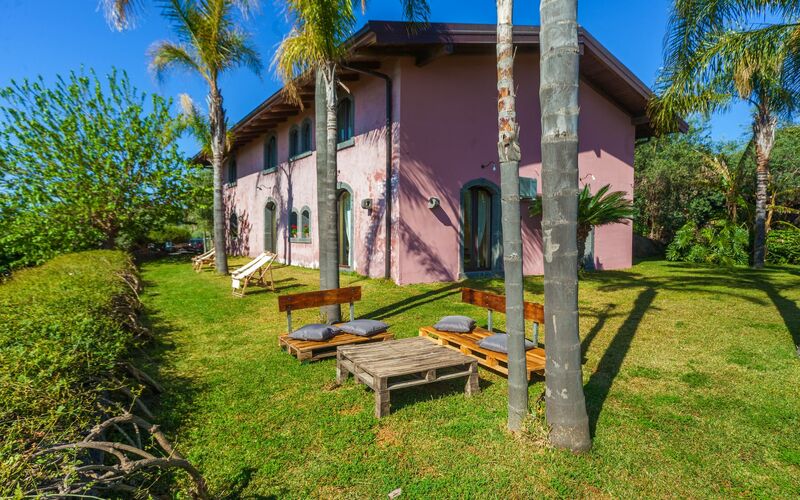 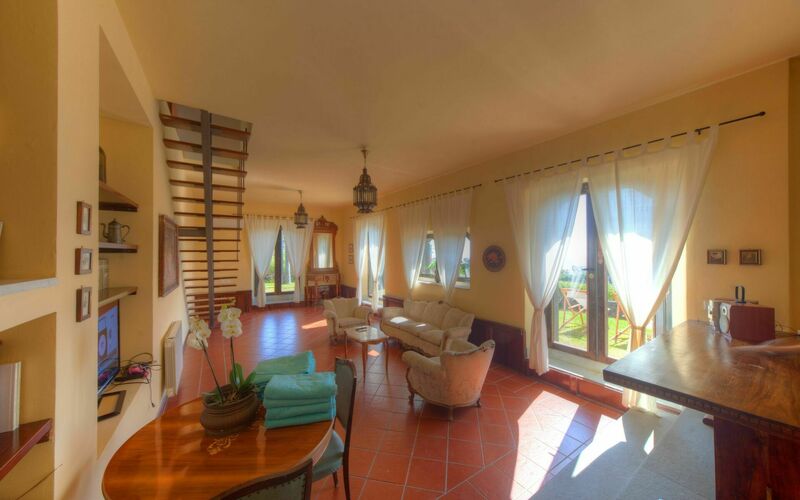 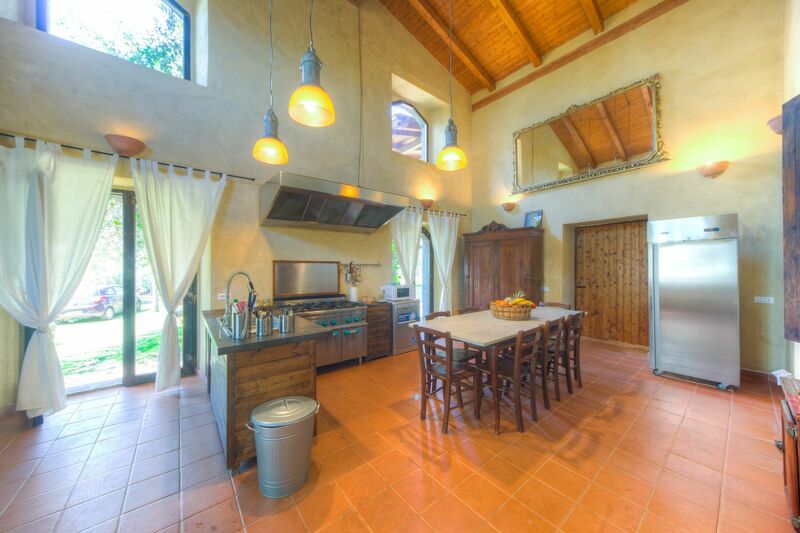 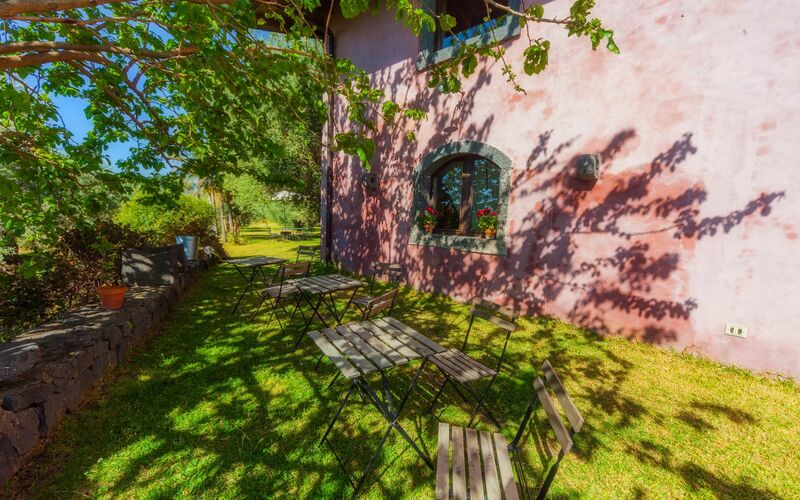 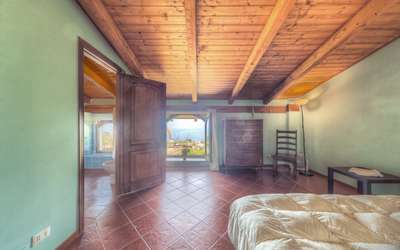 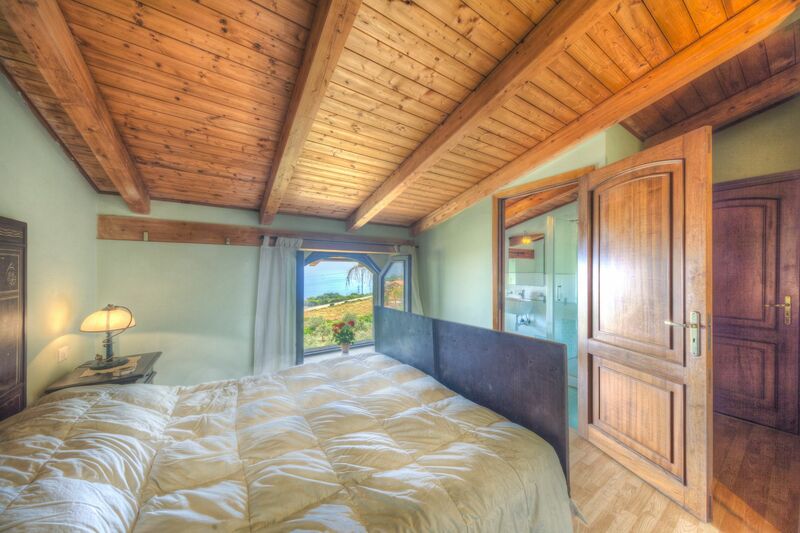 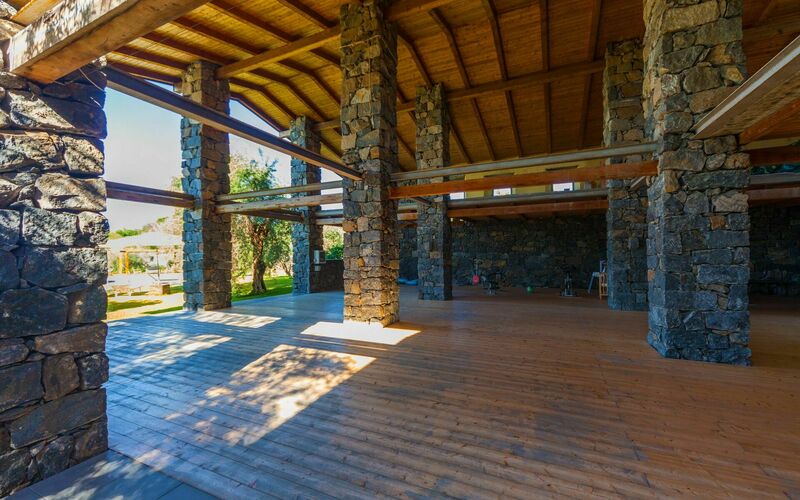 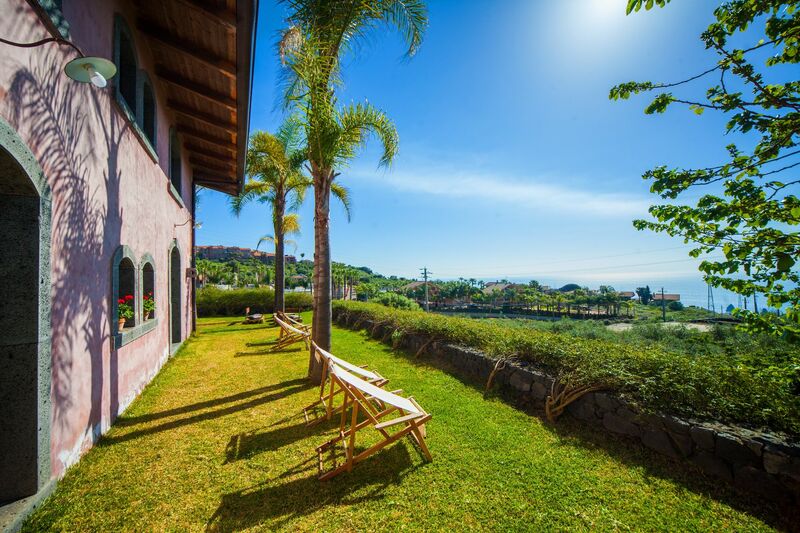 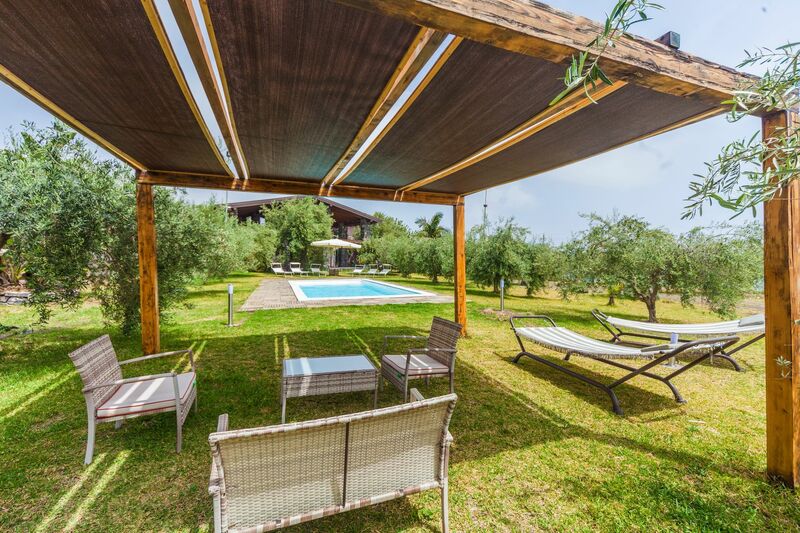 This Sicily villa in Catania-Taormina area spreads on two levels, large and very bright, all opened to the park. 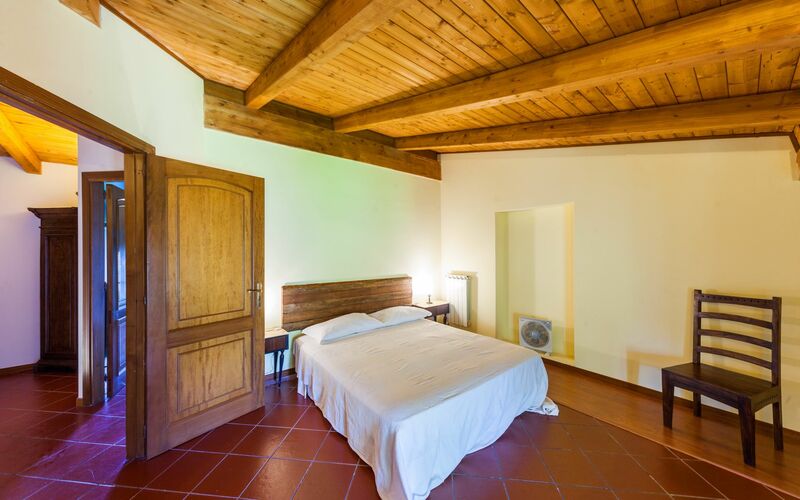 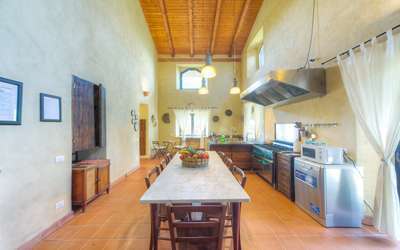 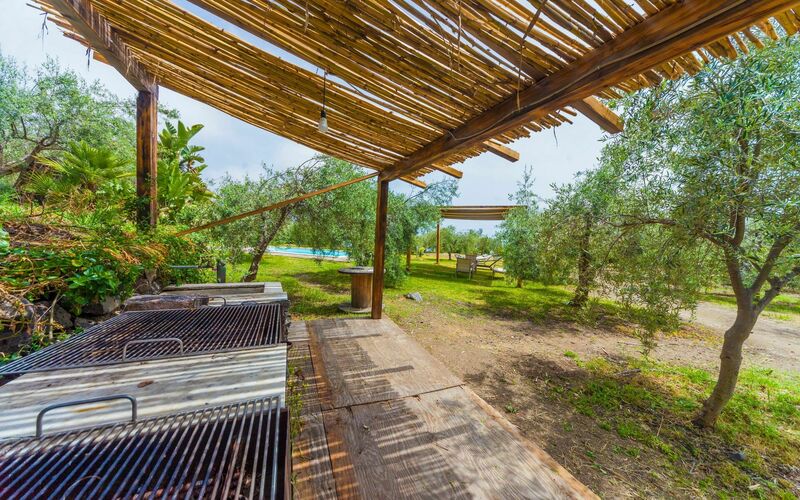 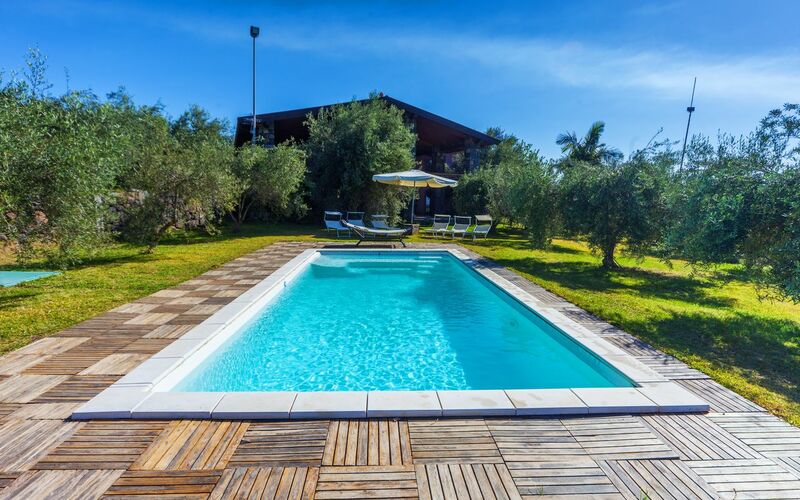 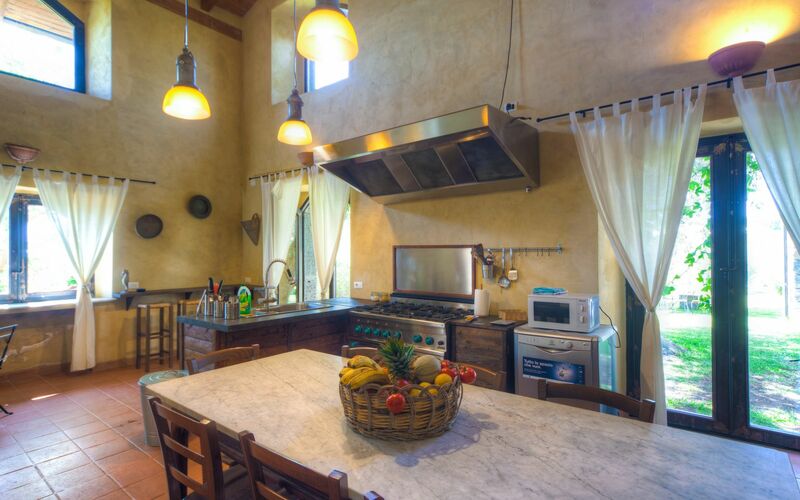 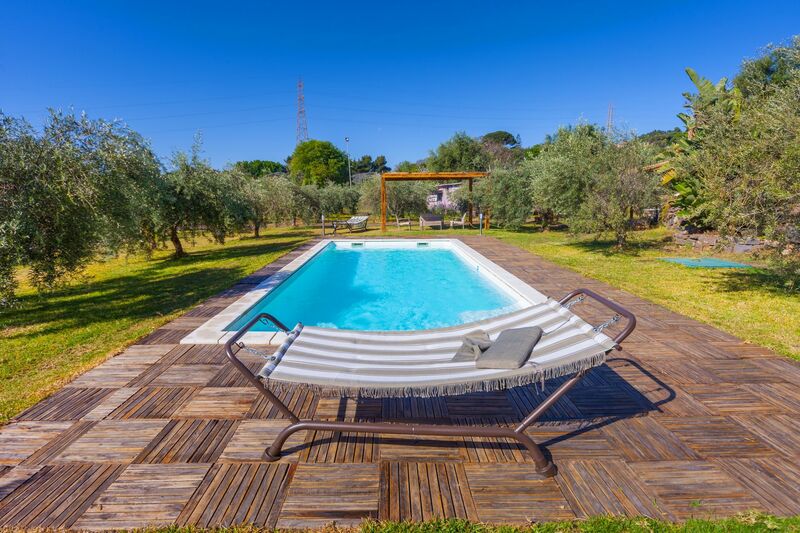 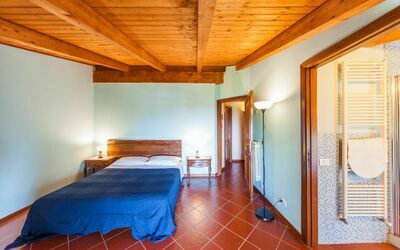 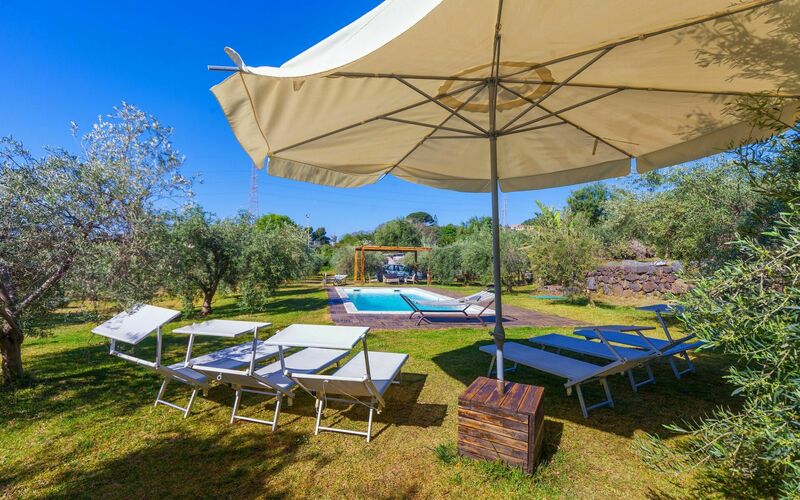 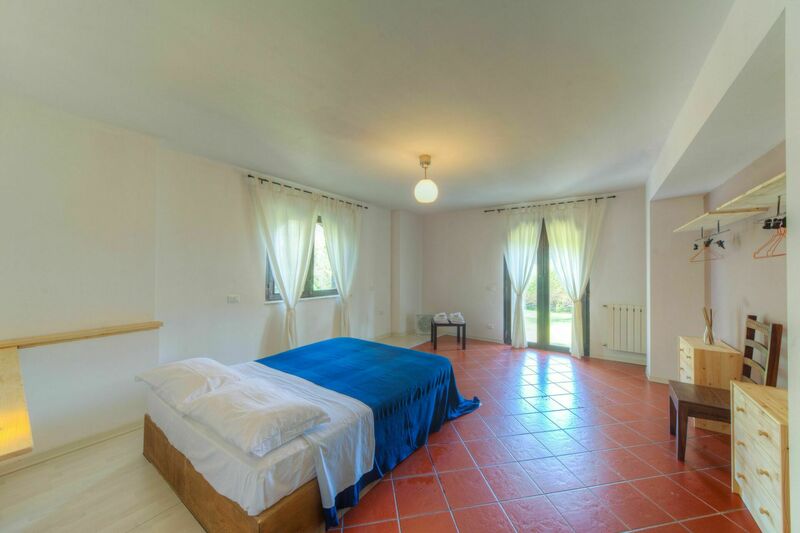 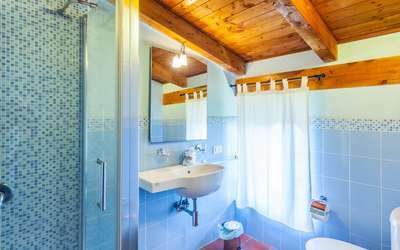 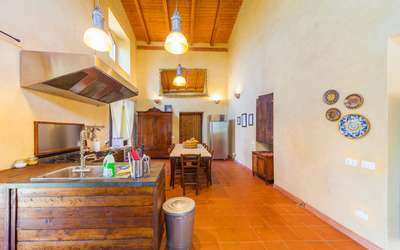 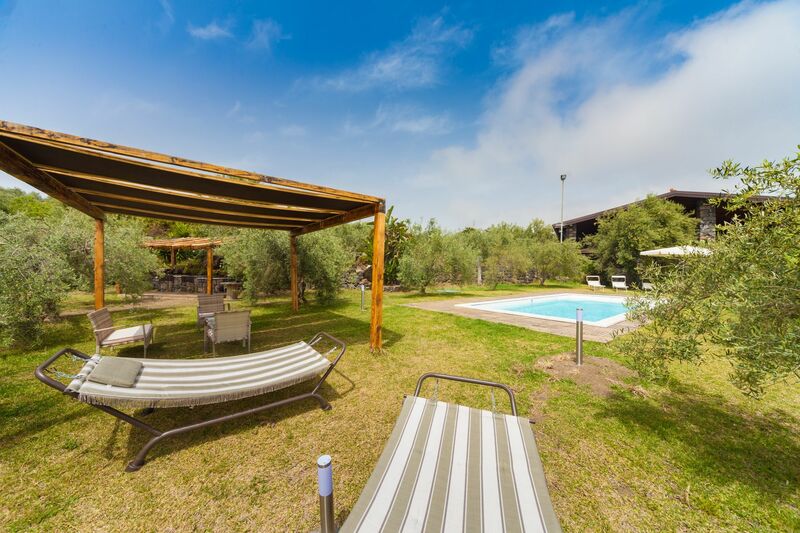 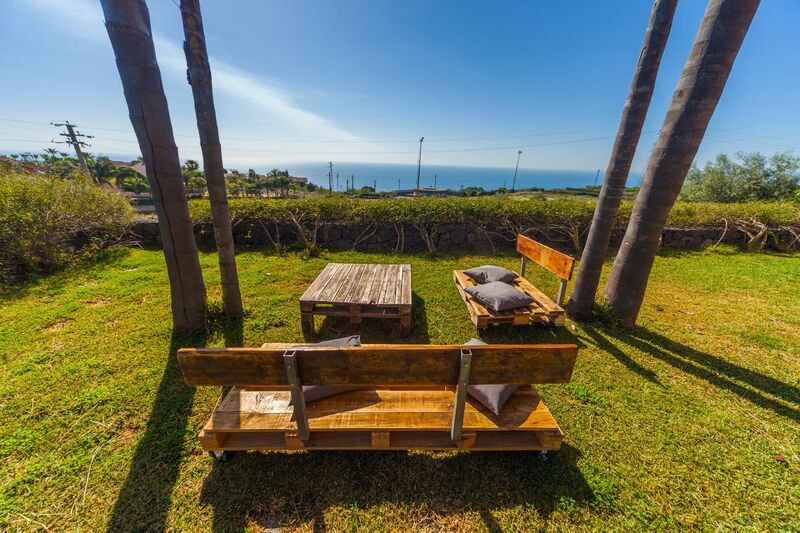 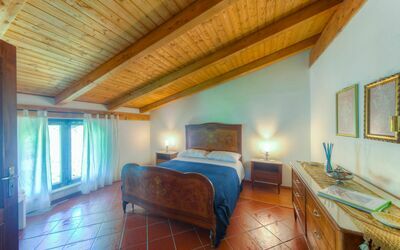 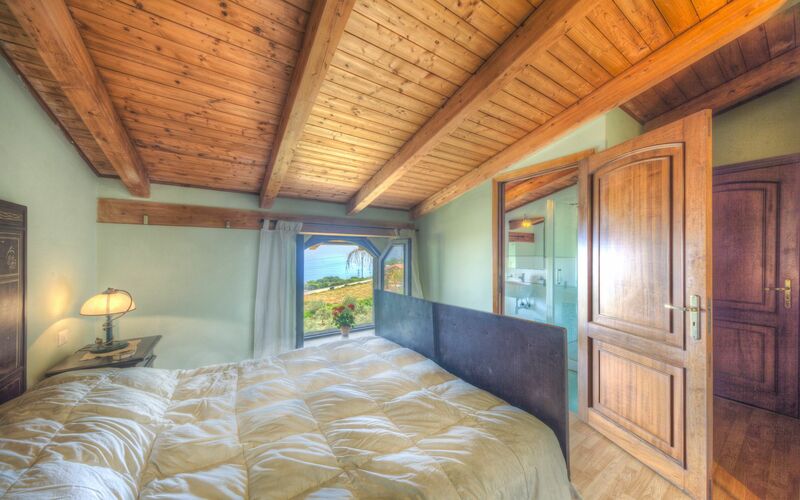 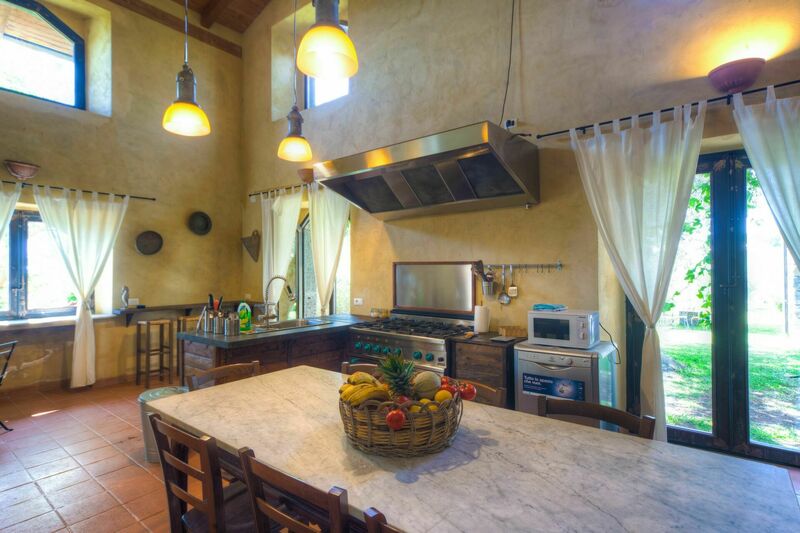 On the ground floor, there is a big and fully equipped kitchen in typical Sicilian style, a very spacious double bedroom with en-suite bathroom and a huge lounge looking the Ionian sea and the tropical garden. 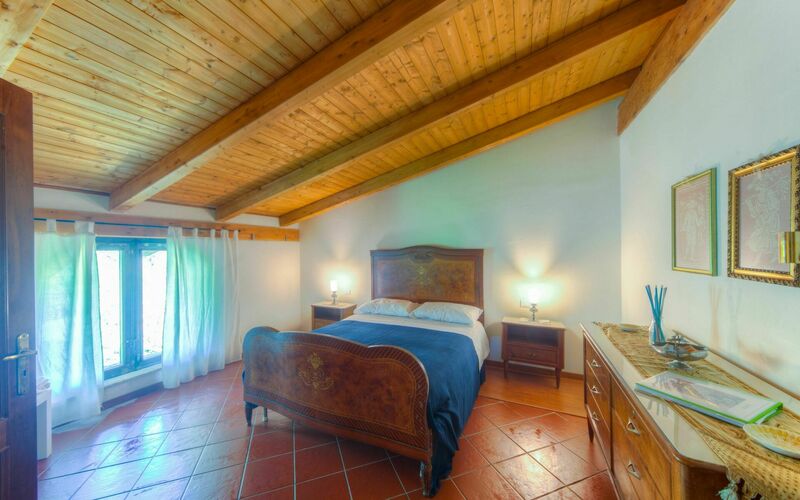 On the second floor, there are 4 spacious bedrooms each with a private bathroom. 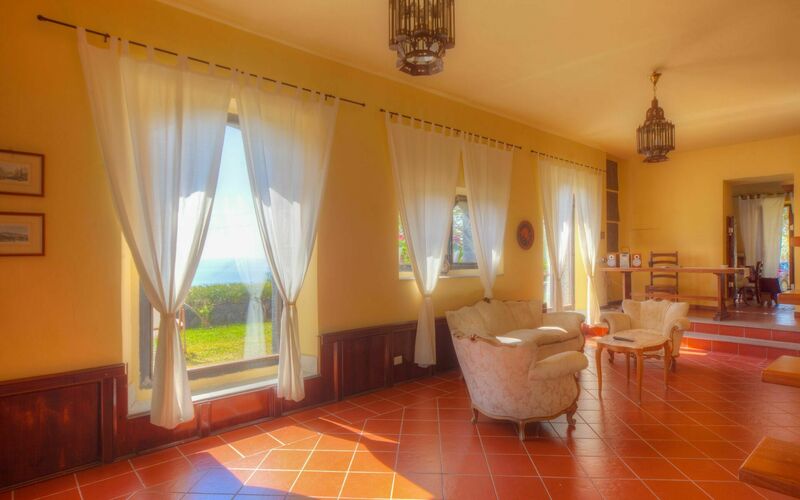 Two of them have the spectacular landscape of the stacks “I Faraglioni”. 5 hectares of life! 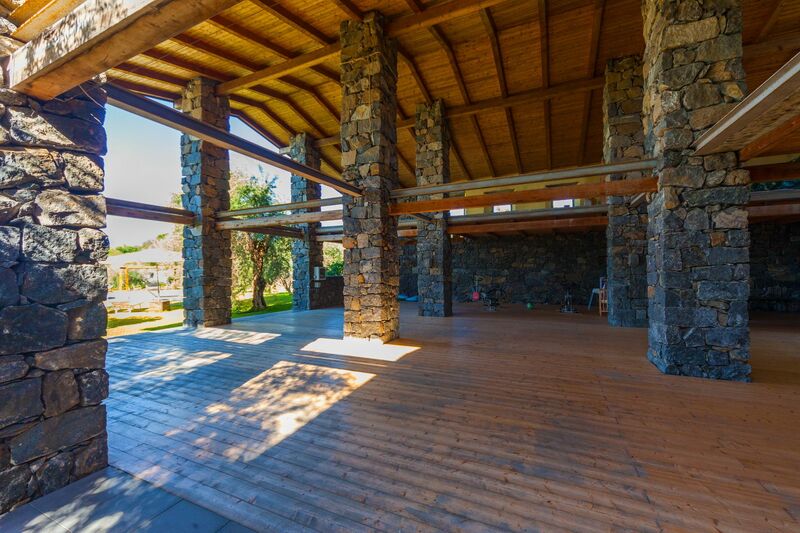 This is the exterior of the villa. From where begin? The pool area, on the Southern side of the villa, is close to the BBQ area. 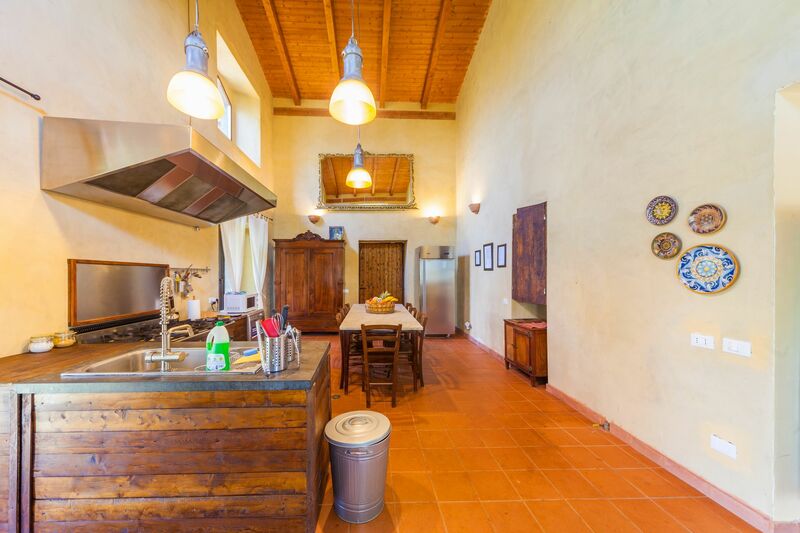 So, you can have a bath during cooking a pizza or a roasted grilled fish! 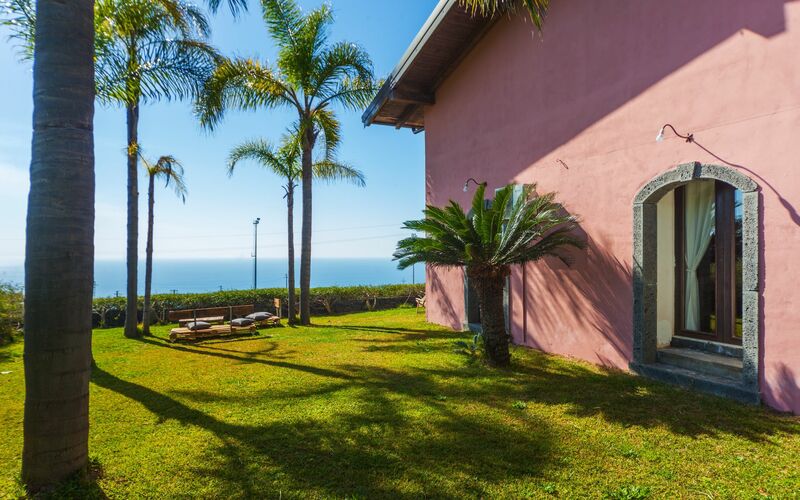 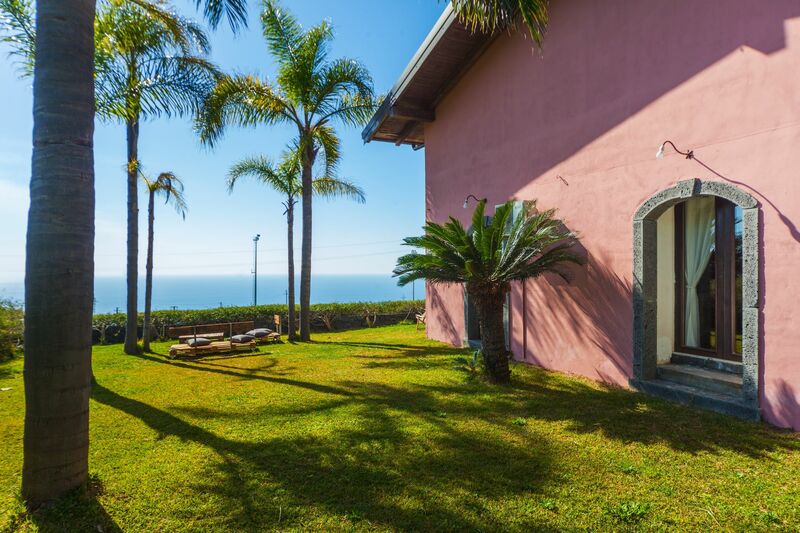 The green area that surrounds the villa is characterized by the grass, many flowers and a vegetation with typical palm trees. 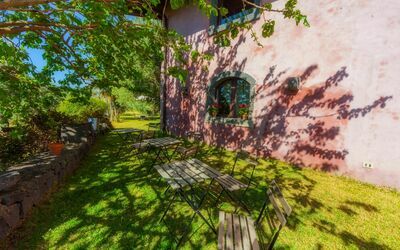 Just outside the lounge there is a gorgeous terrace, with the grass, overlooking the stacks of Acitrezza, the renowned Faraglioni. Can you imagine having a meal in this place, in the evening, with the enchanting lights of the moon and the sea? The rest of the greenery features olive trees, a garden with vegetables, oranges, lemons, mulberries. 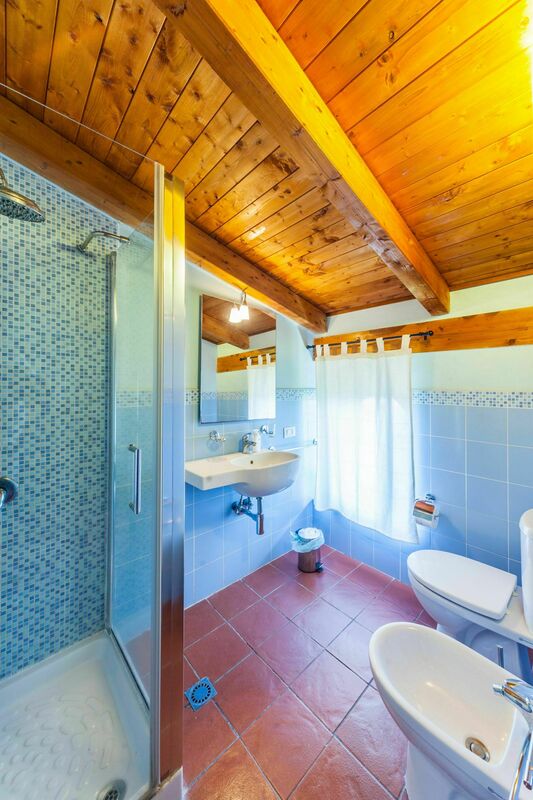 Of course, you can take whatever you want! Welcome! A great place where to stay in Sicily! 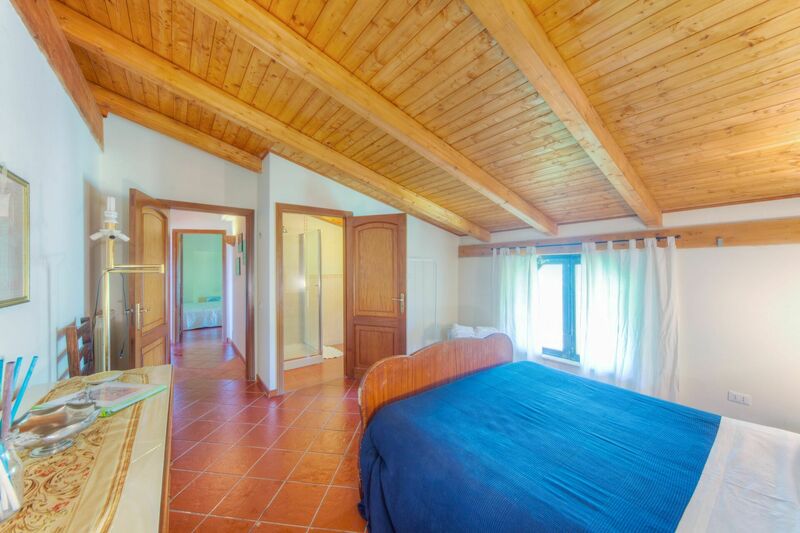 Bedrooms (5) Bathrooms (5): a double with en-suite (shower) on the ground floor; a double with sea view and en-suite (showers) on the first floor; a double with sea view and en-suite (showers) on the first floor; a double with garden view and en-suite (showers) on the first floor; a double with garden view and en-suite (showers) on the first floor. 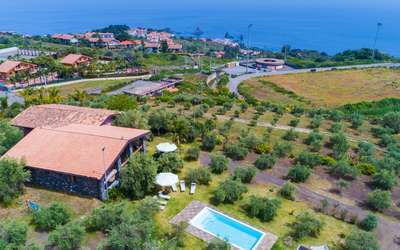 The first one has a great promenade along the sea with the astonishing view of the Faraglioni (stacks); the second one shows a castle made with lava stone, inside the sea! 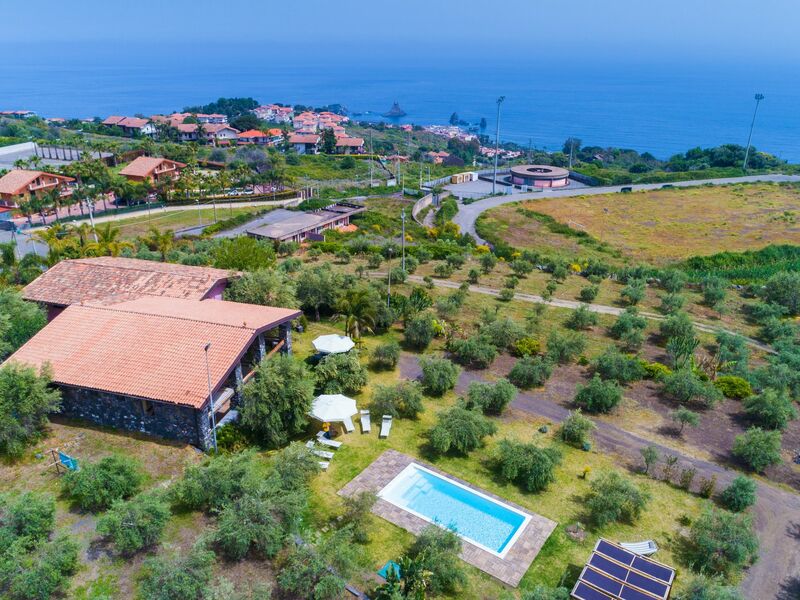 Etna Park (Unesco’s), with its inactive volcanos (the sons of Etna), caves, forests, lava grounds … is 10 km’s away. Catania, with its gorgeous Via Etnea and its outdoor markets, is 10 km’s away. 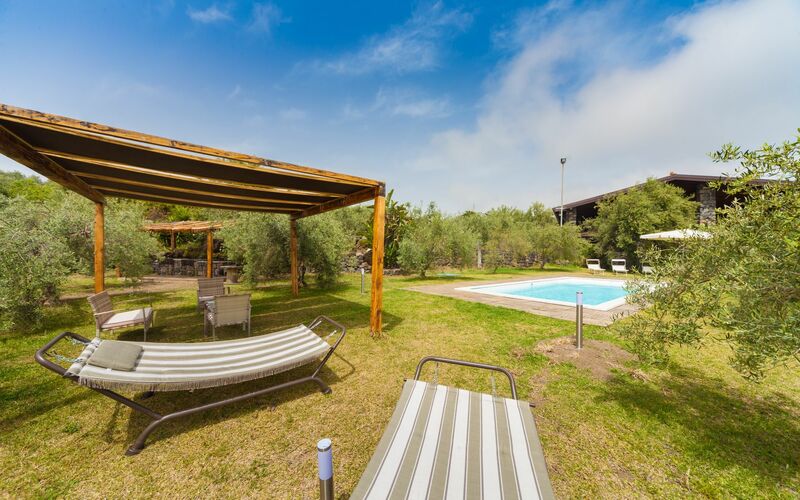 I suggest parking the car in Piazza Alcalà and then enjoy, by walk, the city: the outdoor fish market, piazza Duomo and the nice via Etnea until the Villa Bellini (public garden). 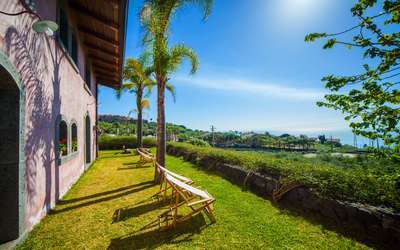 Taormina, the pearl of Sicily, is roughly 30 km’s away: it’s a magic place with the amazing Isolabella and its narrow streets rich in history, a sort of vintage atmosphere and fashion: cool! 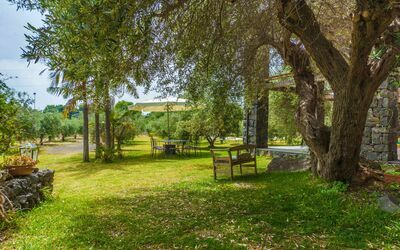 Another tip is the visit of Pantalica (Unesco’s), with its more than 3000 graves carved on the rock, a river, a forest and a sort of mistery all around. 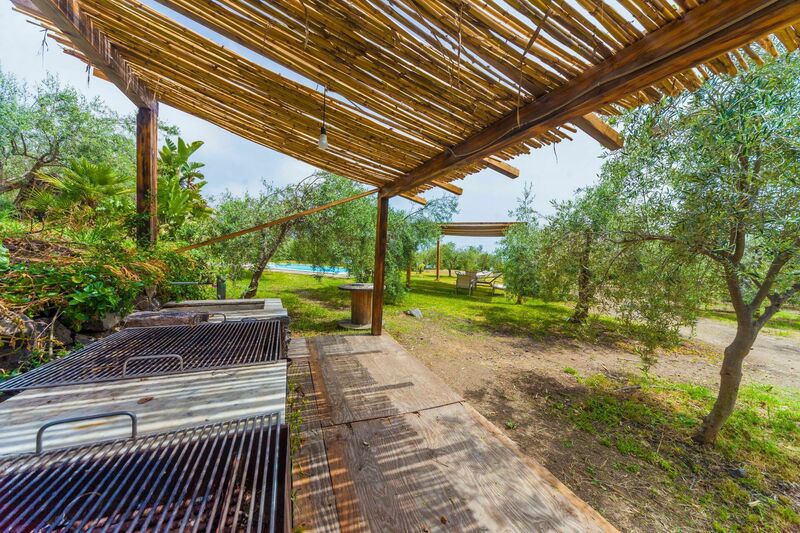 It’s time to eat something and my tipi s to do not miss the Pasta alla Norma and to have, at least once, a typical Sicilian breakfast: granita and brioche!